Perched atop NE Portland’s Alameda Ridge, Beaumont was known as the city’s “natural observatory” when it was established in 1910. People tiring of the hustle and bustle of downtown Portland could seek refuge in what was then the city’s northeastern outskirts – complete with great views, all the modern amenities of the time and of course, a bustling business district on NE Fremont Street. More than 100 years later, everything old is new again as an influx of new residents and businesses has brought a new energy to the district, making it one of the most enjoyable destinations in the city. Visitors come for the eclectic mix of shops, restaurants and services, but they leave feeling like they are a part of this thriving community. 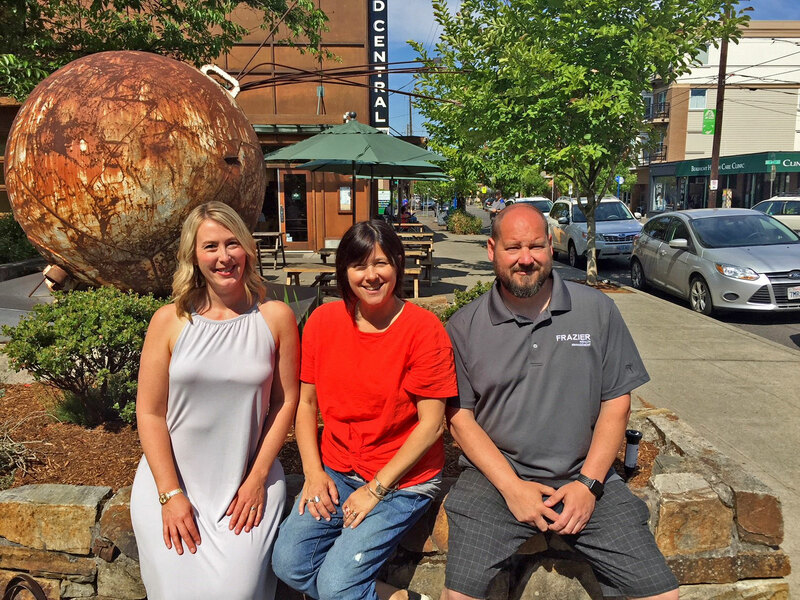 Venture Portland sat down with the leaders of the Beaumont Business Association (BBA) to talk about what they love about the district and why they are proud to call Beaumont home. Andy Frazier is President of BBA and Owner of Frazier Wealth Management, which provides financial planning, risk management and investment management services. Katie Wilgus is Vice President of BBA and Owner of Events by Gather, which provides wedding coordination services and has been featured in Oregon Home Magazine and KATU’s AM Northwest. Amy Hamdan is Beaumont’s Organizer, the organization’s sole part-time staff member who manages district events and meetings, promotes the area and supports BBA members and the all-volunteer board of directors. What is your favorite thing about Beaumont? Andy: I love how walkable it is. It feels like a village in a big city. We’ve really been trying to bring that “main street” feel back to our little district and get people of all ages engaged. Visitors will always know what time of the year it is because the street and storefronts are always decorated for the season. Katie: From the time I was 5 years old I was walking or riding my bike to NE Fremont to buy ice cream and candy. The district still has that small town feel. There’s lots of friendly business owners, it’s easy to get around and the amount of fun businesses to visit keeps growing. Amy: I like the camaraderie on the street. Everyone knows each other, and it is a very welcoming community. The businesses really support each other as well. Nate from Pip’s Original Doughnuts is the first person to go to a new business on the street and if there is a long line at Little Griddle, they will send people over to Batter, so it’s a real “we’re all in this together” feeling. 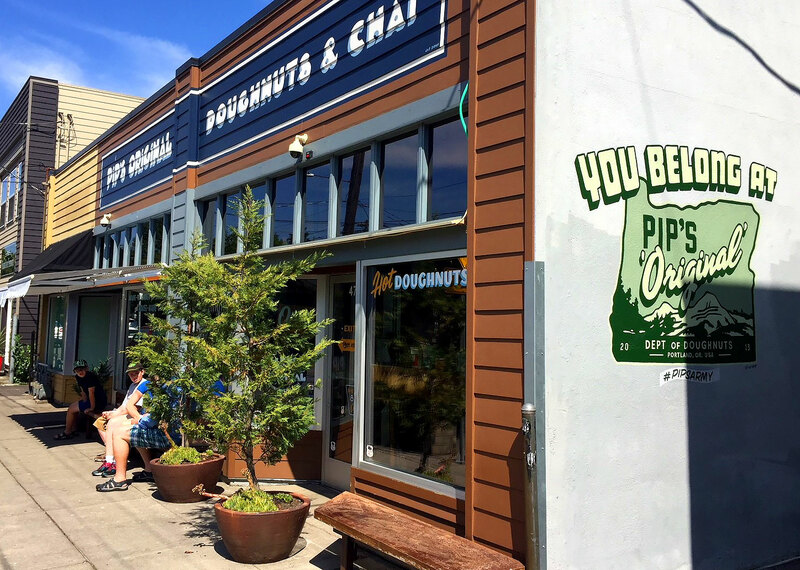 Pip’s Original Doughnuts opened in 2013 and is known for their mini doughnuts and handcrafted chai teas served in locally made mugs. Pip’s supplied doughnuts for the cast of the Portland-based TV show “Grimm” and their “Dirty Wu” doughnut is named after the Sargent Wu character from the show. 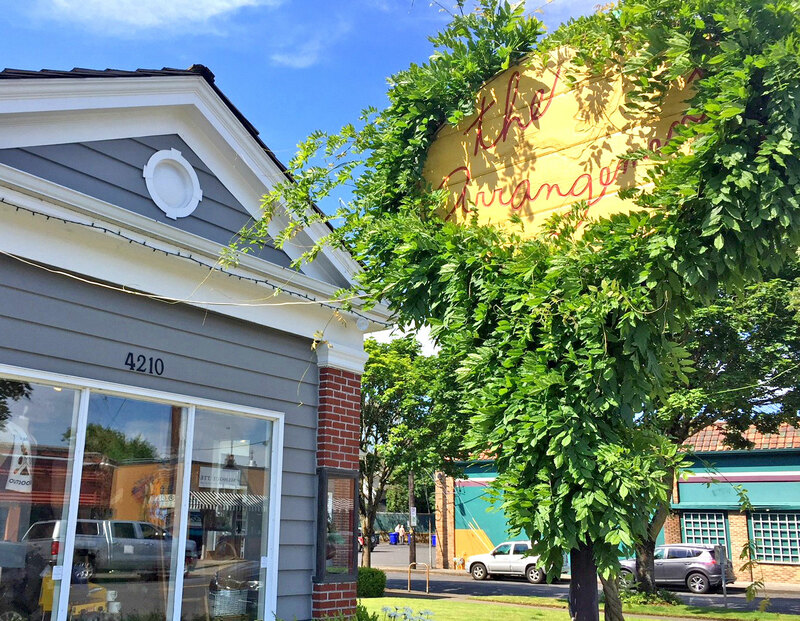 Little Griddle opened in 2017 and serves up benedicts, skillets and biscuit sandwiches. Owners Yossel Gyorgak and Judd Harris met while working together at longtime Portland brunch spot Jam on Hawthorne. Batter Griddle & Drinkery opened in 2015 and specializes in breakfast quick breads with sweet and savory toppings. How has Beaumont’s identity changed over time? Andy: There are a lot of young families moving to the district. People who grew up here, left, and are now returning. The built form has also changed. The street was once mostly single-family homes and now we are seeing new 3 and 4 story mixed use buildings bringing more residents and businesses to the area. Katie: There’s certainly been an increase in restaurants and retail businesses, but I think we have been responsible about our growth. The district’s character has been pretty well preserved. Amy: We’re also seeing a lot more health and wellness businesses opening in the district. That is probably why our Dash to Doughnuts event has been such a success. Dash to Doughnuts is held on the first Sunday in June and features a 3k run and obstacle course hosted by Beaumont businesses. 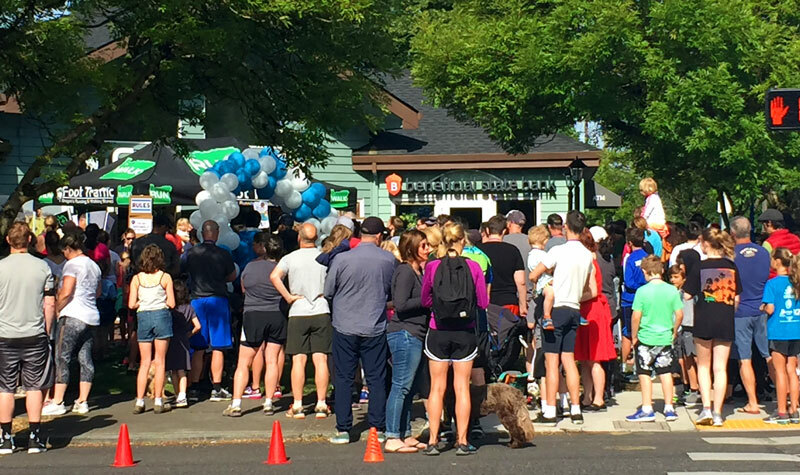 The event begins and ends at Foot Traffic, a running store that hosts races, group runs and youth clubs throughout the year. Participants who complete the course receive free doughnuts from Pip’s Original Doughnuts. Health and wellness businesses in the district include Wild Hearts Wellness, which offers acupuncture, massage, herbal medicine, nutrition counseling and yoga; Beaumont Vision, which is the first eye care facility in Portland to receive a Recycle at Work Award; Bikram Yoga Fremont which opened in 1999 and offers “pay what you can” classes on Fridays and Midnight Sun Massage, which provides a variety of massage therapy services and will treat car accident victims for free. What are some legacy businesses in Beaumont? Katie: Amalfi’s is a multi-generational business that has been in the district for a long time but continues to stay relevant. The 3rd generation owner Kiauna, took the original concept and ran with it to create a fresh, renovated space that remains family friendly. The business continues to grow and recently opened a Mercato space where they sell house-made foods and other products. Andy: Settlemier’s is another legacy business in the district. They are a jacket factory that supplies letterman jackets to high schools all over the west coast. Everything is made from scratch in house. Amy: Dee’s Golden Door has been in the district for more than 70 years. They are a hair salon that really goes the extra mile to take care of their customers. They will even pick up clients that are unable to drive to the shop and they are usually first in line to help with any community event. Beaumont Hardware has also been around forever. They were nominated for Best Hardware Store by Willamette Week. Katie: The Arrangement has been around for close to 40 years as well. They are a boutique that has done a beautiful job keeping current with the times. 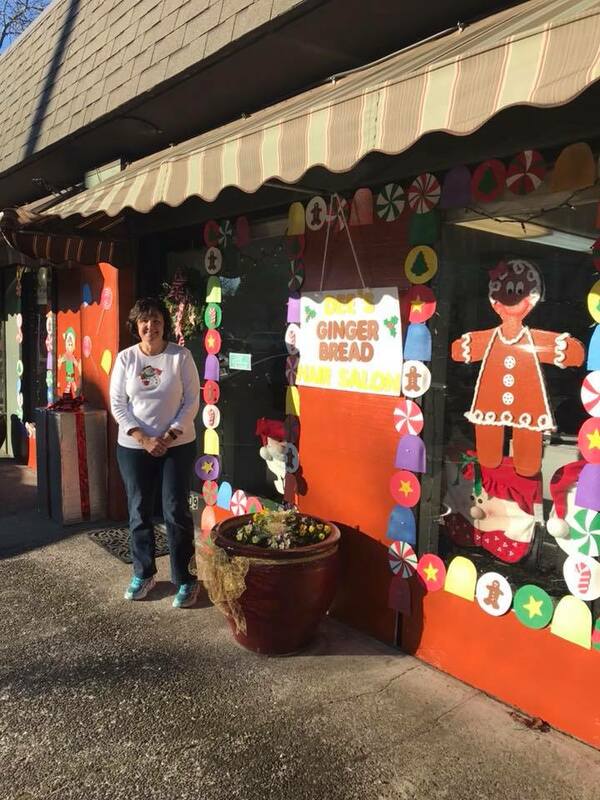 The owner Sue has been a huge supporter of BBA and is a neighborhood icon who knows everyone. Amy: You may be noticing a trend that many of our businesses are women-owned! Gazelle Natural Fibre Clothing, which opened in 1984 and specializes in eco-friendly clothing made from cotton, linen, silk, wool and more exotic fibers such as ramie, viscose and tencel; Krishna Avalon Acupuncture, which offers various healing services including moxibustion, a warming technique that uses the Chinese herb Mugwort and Silhouette, which opened in 2013 and offers garment alteration, restyling and repair as well as wedding dress fitting. Amalfi’s opened in 1959 and was one of the first restaurants to bring pizza to Portland. The restaurant donates to a variety of charities including Oregon Food Bank, The ALS Association and SEI. Settlemiers was started in 1990 by Gloria Settlemier, whose mother Dorothy also owned a jacket company in Portland in the 1960’s. Today the factory uses the very same jacket patterns and knitting machines that Dorothy did more than 50 years ago. Dee’s Golden Door has been a hair salon for more than 70 years. The most recent owner, Nancy Tilton, took over in in 1983 and it is one of the few salons in Portland that offers roller-sets. Beaumont Hardware opened in 1950 and carries more than 20,000 items. Each week the store donates any unsellable returned items to Habitat for Humanity. Other longtime fixtures in the district include Rose City Cemetery, which opened in 1906 and Beaumont Middle School, which opened in 1926. What is your favorite memory from a Beaumont event? Andy: My favorite memory is from our newest event, Fright Night on Fremont during Halloween; specifically, the haunted house. The whole community came out to participate. From 4-6pm, the younger kids had a chance to trick-or-treat at local businesses. As the sun went down we opened up a haunted house that had actors and actresses from the Grant High School drama program. Little kids came out crying and the older kids and adults liked it so much they went through a second time. It was great! Katie: I’ve got some great memories from Holiday Fest. We have a Santa that is a member of the Fraternal Order of Real Bearded Santas so you know he is good. Usually Santa and Mrs. Claus roll in on a fire truck but a few years ago it was snowing so I had to go rescue them from their home. Amy: I really like Fremont Fest, specifically the kid’s parade. The kids decorate their bikes and wagons with the cutest things. I’m proud to say that my child is a 3-year blue ribbon winner for bike decoration. The 32nd Annual Fremont Fest is on August 4th from 10am-5pm and features specials at Beaumont businesses, more than 300 vendors, 2 stages with live music, a pub crawl and family-friendly activities. What would be your perfect day of food in Beaumont? Andy: I would get doughnuts from Pip’s Original for breakfast. My favorite is the “Dirty Wu” which has Nutella icing. For lunch I would go to Noho’s Hawaiian Cafe, they have an awesome back patio and more food than you can eat. You feel like you are in Hawaii! And for dinner I would get a steak sandwich at McPeet’s Pub, they are an institution in the district. Katie: I’d go to Prince Coffee for breakfast for a Stroopfwaffel and tea. They have really delicious tea blends that are made locally. I’d have lunch at Little Griddle. They have a yummy polenta and veggie dish. Finally, I’d go to Amalfi’s for dinner. I really like their pizza and their meatballs. Amy: I would start the day at Jim and Patty’s Coffee, they have been a Portland institution since the 70’s! For lunch I would have a Beecher’s Bolo sandwich at Grand Central Bakery. For dinner I would go to Perlot and see what Chef Patrick has on special. It’s guaranteed to be good! Noho’s Hawaiian Café was started in 1992 by Noho Marchesi and his brother Roy, who were born and raised in Hawaii and the menu is based on recipes from friends and family in their home state. McPeet’s Pub is part sports bar, part neighborhood watering hole and offers a deep selection of local beer. Prince Coffee is known for their Stroopwafels, a Dutch waffle made from two thin layers of baked dough with caramel in the middle. The shop’s original location is in the Kenton Business District. Jim and Patty’s Coffee opened in 2002 but owners Jim and Patty Roberts have been serving coffee in Portland since 1976 and opened one of the first espresso drive-thrus in the nation. Grand Central Bakery opened their first Portland location in 1993. The bakery prides itself on sustainability and even makes bread deliveries via bicycle. Perlot serves globally inspired dishes using local ingredients and hosts live jazz every Friday and Saturday night. In 2011, Chef Patrick McKee competed on Iron Chef America alongside legendary Portland Chef, Vitaly Paley. Other food options in the district include Alameda Brewhouse, which opened in 1996 and has won the Gold Medal at the Great American Beer Festival for their Black Bear Stout; Bang Bang, which offers Thai-inspired comfort food and drinking snacks; Beaumont Market, a grocery store which has become a destination for craft beer and even has an online blog with their latest offerings; Fire on the Mountain, which opened in 2005 and has been featured on both the Travel Channel and the Food Network and Thrive Sauce and Bowls, which opened in 2012 as a food truck, makes all of their sauces in-house and offers a completely gluten-free menu. If Beaumont had a theme song, what would it be? Katie: Summertime by DJ Jazzy Jeff and The Fresh Prince! It’s a very nostalgic song about the perfect summer day and this district gives me the same feeling. Visitors to Beaumont can access the district via Trimet using the 24, 71 or 75 buses. The area also has several bicycle greenways on NE 37th Avenue, NE 47th Avenue and NE Klickitat Street. What are some kid-friendly businesses in Beaumont? Katie: My kids love the treasure chest at Adorn! They know right where it is when we walk in. Luminance Yoga does special kids classes. I took it once with my kids and it was amazing. The owner is a naturopathic doctor as well, so they offer a 1-2 punch. Noho’s and Amalfi’s both offer kids menus. Amy: There’s usually a line of kids out the door at Pip’s Original. They give you free doughnuts on your birthday! Andy: Every event we do has a kid-centric aspect to it. Fright Night and Holiday Fest are all about kids. 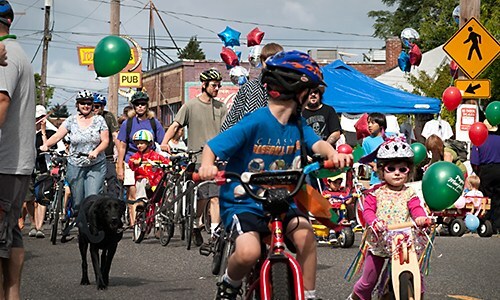 Fremont Fest this year is going to have a special ‘Kid Zone’ in addition to our kid’s parade. We do an Easter event called ‘Hip Hop into the Shops’ where kids look for bunnies in businesses while parents shop. It’s a lot of fun! Luminance Yoga offers classes, naturopathy and a retail shop with yoga supplies, clothing, essential oils and more. Kids will also enjoy Owl and Bee Clay Studio, which hosts clay classes, art camps and birthday parties and the 15 acre Wilshire Park, which features a playground and baseball and soccer fields. The park was originally proposed to be a campground in the 1920’s and then residential subdivisions in the 1930’s but instead it was bought by the city of Portland and converted into a public park in 1940. Katie: Concordia Chiropractic is amazing. They have set me straight so many times! Green Dog Pet Supply is a great pet store. The people that work there have so much knowledge about animals and their needs. They are also really active in the community and always host fundraisers for various causes. Amy: Fate Beauty Society is a great hidden gem. The owner was just at Coachella Music Festival doing hair. Honest Training has great trainers and also go on global fitness retreats. We are lucky to have Paperjam in our district. They are a family-owned full service printer. 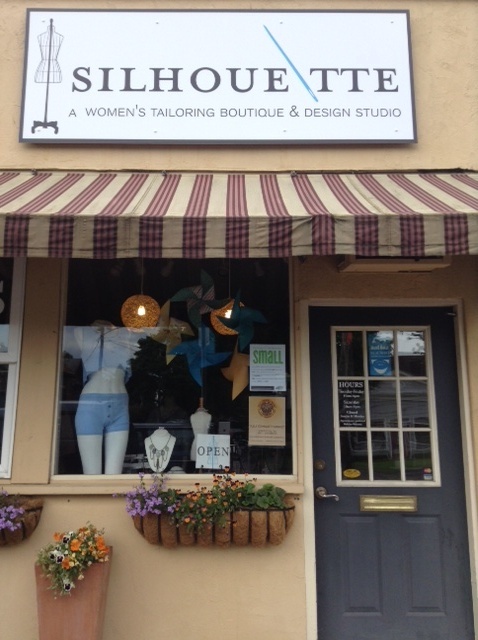 Silhouette does alterations and custom clothing and their staff has a lot of talent. Concordia Chiropractic specializes in massage, yoga, movement and physiotherapy in addition to chiropractic care. Green Dog Pet Supply opened in 2004 and was named ‘Best Neighborhood Pet Supply’ by Spot Magazine. Before opening the shop, co-owner Christine was a zookeeper for 12 years. Fate Beauty Society is a beauty studio that’s part hair salon, makeup studio and skin treatment and waxing spa. Honest Training offers coaching and workouts that range from indoor cycling and kettlebell classes to TRX training, running clubs, kickboxing, weight training and more. Paperjam opened in 2009 and offers print and design services for everything from wedding invitations to business cards. The business regularly gives back to the community and even helps fund music classes at Beaumont Middle School. Other hidden gems in the district include Blackbird Wineshop and Atomic Cheese, which sells wine to go or to be enjoyed in the shop plus cheese and charcuterie plates; Bottles, which carries more than 500 different bottled beers plus house-smoked BBQ; Found on Fremont, which sells vintage gifts, handcrafted goods and antiques; Sand’s Solutions, which offers business consulting, strategic planning and tax services and Peak Mortgage, which opened in 2013 and now has 15 locations in Oregon, Washington, California and Hawaii. Andy, as current President, what future plans for Beaumont are you most excited about? Andy: The district has a solid foundation of great events and we are excited to continue making the district a fun and enjoyable place to visit. We recently received a grant from Venture Portland to install seating and signage that will help visitors explore our wonderful business district. It seems like something new pops up every week so there’s always plenty to see! Amy: I’m excited for Fremont Fest! This year the event is bigger than ever and it’s the perfect time to visit our district to see all the amazing things we have to offer. It’s the perfect way to spend a summer day! For more information, visit beaumontvillagepdx.com.